BOOK BLOGGER HOP: Do you listen to music while you are writing your blog posts? 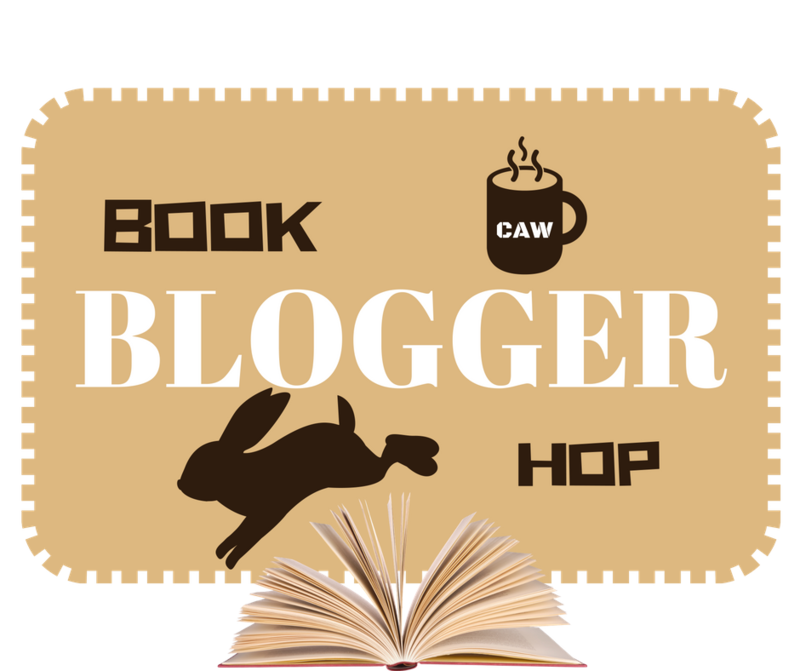 The Book Blogger Hop is a weekly feature hosted by Coffee Addicted Writer, to find bookish blogs and to learn more about the bloggers themselves. You can find more info on the feature here. This week’s question is: Do you listen to music while you are writing your blog posts? If so, what genre of music do you listen to? The short answer is sometimes. I like listening to music while I write as it’s sometimes too quiet if I don’t, but I can write without music too. Sometimes it depends on the blog post – if it’s a review when I’ve got a lot to say or the subject is a bit more complicated or sensitive, I might forgo the music to make sure I concentrate. As I type this post I’m listening to Imagine Dragons latest album (I’m liking it a lot, but I love pretty much all of Imagine Dragons music though so maybe I’m biased) and it’s that sort of music I listen to when I write a blog post. I like to listen music that has guitars and is upbeat but not too catchy because if it is catchy, I’ll end up singing along instead of focusing on what I’m writing. I like listening to music I already know too so it can be a pleasant background noise. Do you listen to music when you write blog posts? Or when you do any writing in general? BOOK BLOGGER HOP: Candy Corn, chocolate or popcorn – which is your favourite to eat while reading? This week’s question is: Candy Corn, a chocolate bar, or Popcorn. Which of these snacks are your favourite to eat while reading? I’ve never had Candy Corn so I can disregard that right now. It’s one of those American foods that I’ve not tried and while in some UK supermarkets there’s a small “American food” section that has stuff like Hershey bars and pop tarts in it, I haven’t ever seen Candy Corn there. I find popcorn can leave you with greasy fingers and obviously I don’t want to get food marks on my books, and to be honest I only really eat popcorn at the cinema, I very rarely have it at home. So, my favourite is a chocolate bar. Chocolate is my favourite snack to eat while reading because you don’t get your fingers dirty because you hold the wrapper, it’s the best. BOOK BLOGGER HOP: What is your favourite scary movie? This week’s question is off the topic of books and is instead: What is your favourite scary movie? I am not a scary movie fan. I’m a bit of a scaredy-cat and generally do not watch horror films. I think it’s mostly because I don’t like blood and gore (I’m actually OK with blood in real life but I really do not like any sort of body horror in media) and I don’t enjoy being scared. BUT! My favourite scary film, out of the few I’ve seen, has to be The Descent (2005). It’s about a group of women who go on a caving expedition, but they soon discover they are trapped in the caves with something deadly. I watched it in college as a part of my AS Film Studies class and it was the one and only time I’ve watched it but it has stuck with me for almost eight years! I remember watching it in the class and when it finished and we all went to break, it was bright sunshine outside but my heart couldn’t stop pounding. The Descent is an incredibly tense, scary and at times gory film. I do think it’s a great film and something I recommend to just about anyone but I definitely don’t need to watch it more than once. BOOK BLOGGER HOP: Which authors or book bloggers would you have lunch with? This week’s question is: If you could have lunch with any living authors and/or book bloggers, who would you choose and why? Once upon a time I would have loads of authors to choose from to answer this question but nowadays I don’t really read a lot of series of books from the same author so don’t think I’d have much to ask or talk about with an author. I think I’d like to go to lunch with some book bloggers – namely Ellie, Bex, Katie and Louise Marie, and any of the wonderful people I’ve met on the London Bookshop Crawl. I love the Crawl but because it’s so full of books and bookshops and adventuring it doesn’t always give you a proper chance to really talk to those you’ve met through the world of book blogging. So it would be great to have a proper sit down lunch with Bex, Katie, Ellie and Louise Marie and have a lovely chilled out lunch full of bookish discussions. What authors or book bloggers would you like to have lunch with? 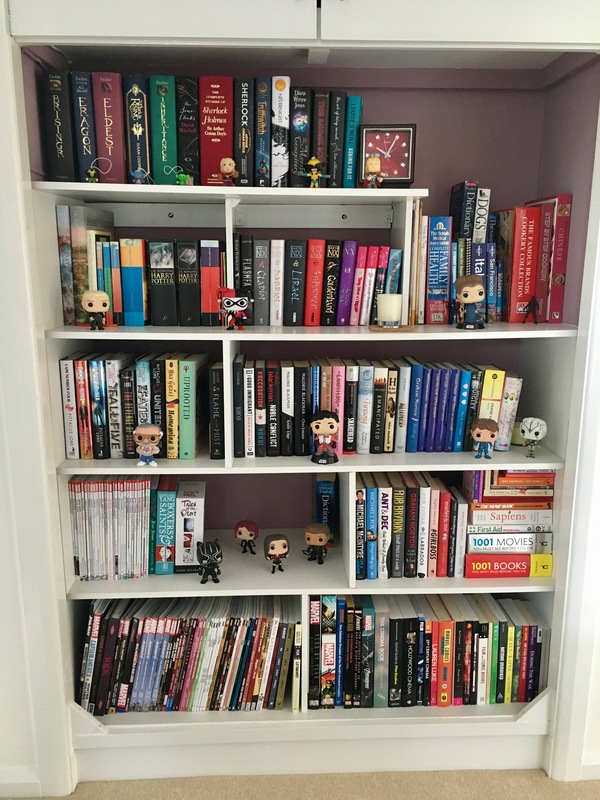 BOOK BLOGGER HOP: Do your bookshelves have any bookish items on the shelves? This week’s question is: Do your bookshelves have books ONLY or do you also have bookish items on the shelves? Now I have two bookcases. One is full of paperbacks and that one just has books on it but my other bookcase, which has hardbacks and graphic novels and comics on it, has all my Funko Pops on it. The Draco Malfoy, Harley Quinn and Leia ones all came from bookish subscription boxes and the rest I’ve got myself. There’s a Stan Lee one I got from London Comic Con a couple of years ago, then there’s Poe Dameron from Star Wars, Chekov and Jaylah from Star Trek Beyond, then there’s my Marvel one’s Black Panther, Black Widow, Scarlett Witch and Hawkeye – them four are my favourite characters in the MCU (at the moment anyway, it changes regularly). I’ve got some smaller superhero figures that I’ve got from friends or free with stuff as well. Do you have any bookish or geeky items on your bookshelves?